These are the must-see Stockton stops for your out-of-town guests. The holidays are a time when family and friends love to visit. 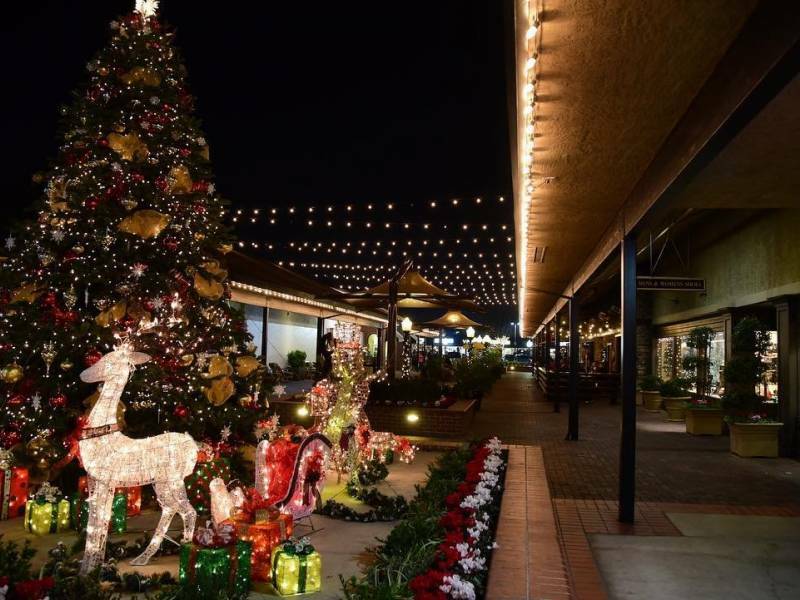 This blog is inspired by travel writer Tim Viall’s article in The Record, which you can read here, below are some of our favorite Stockton places to take out-of-town visitors during the holidays. Thanks for spreading the holiday love for Stockton, Tim! "Christmas Lane" should be on every Stockton holiday list so we are adding to Tim's notes about this fantastic tradition. It is truly a display you need to see to believe, happening between December 1 through 31, from sundown to 9pm. This sparkling Stockton tradition has been delighting residents and visitors for over 40 years. Thanks to dedicated homeowners, who collectively put on an amazing display of lights and decorations each year, there is an abundance of holiday cheer in north Stockton. This display takes up the 1400 block of Meadow Avenue, just west of Pershing Avenue, with occasional visits from Santa and festive holiday carolers. Head over to Skyzone Trampoline Park and get ready to have a blast. Let the younger generation expend all their holiday energy while you work off those holiday calories. Nothing says holiday togetherness like Ultimate Dodge ball. Need more recommendations for the whole family to enjoy? Look through this list for idea on making that family outing extra special during the holidays. Downtown Stockton has an array of ethnically diverse eateries to satisfy any craving (even the pickiest little eater). While in downtown this holiday season, you can root for the Stockton Heat hockey team or the city's newest NBA G League basketball team, the Stockton Kings at the Stockton Arena; catch the classic movie "A Christmas Story" at the Bob Hope (Fox) Theatre or relish a leisurely stroll at sunset on the waterfront promenade and enjoy multiple examples of public art. Lincoln Center has been a local favorite for over 6 decades featuring specialty shops, unique dining experiences, and plenty of holiday cheer for the whole family. See Santa at the North Pole, enjoy a train or carriage ride, and see the Snow Village. Holiday fun at the Center will run between November 23rd and December 24th. Stockton benefits from a rich and flavorful dining scene. Do you want a place with good food, a place that shows off Stockton well, and a place where anyone in the party will be able to find something to eat? See the best restaurants in Stockton or text the team at Visit Stockton at 877.778.6258 for a recommendation, our experts are available 8am to 8pm, seven days a week. Special note: invite your friends and family back to Stockton January 18-27, 2019 to partake in Stockton Restaurant Week! To whet your appetite, follow Stockton Restaurant Week on Facebook, or visit stocktonrestaurantweek.com for mouth-watering food coverage. Need more shopping recommendations? Here are 7 Festive Things to Do this December in Stockton, you can also text us 7 days a week, 8am to 8pm at (877) 778-6258 and you'll receive a live response from a member of our team.